Garage floors have specific requirements. They need to repel harsh chemicals, including oil and gasoline. Epoxy helps with this. Besides resisting tire marks, it also has the ability to hide the imperfections of the existing concrete floor. It is easy to maintain. 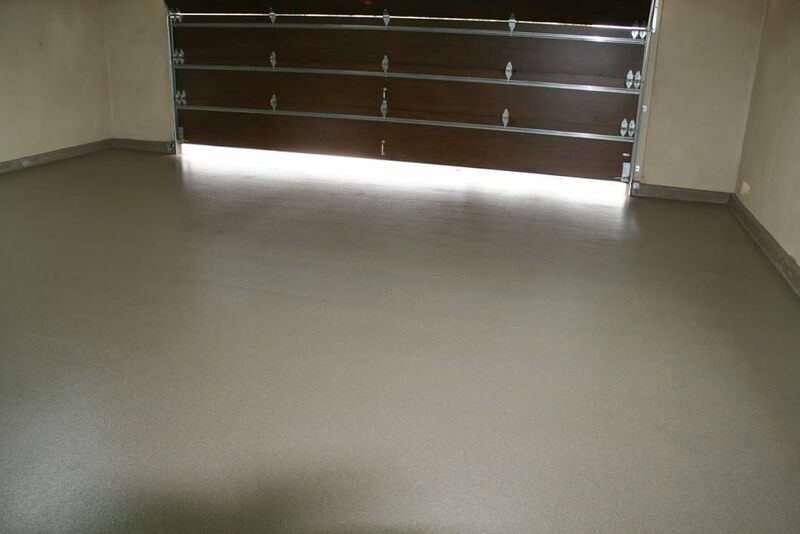 Epoxy floors can take your garage to the next level. 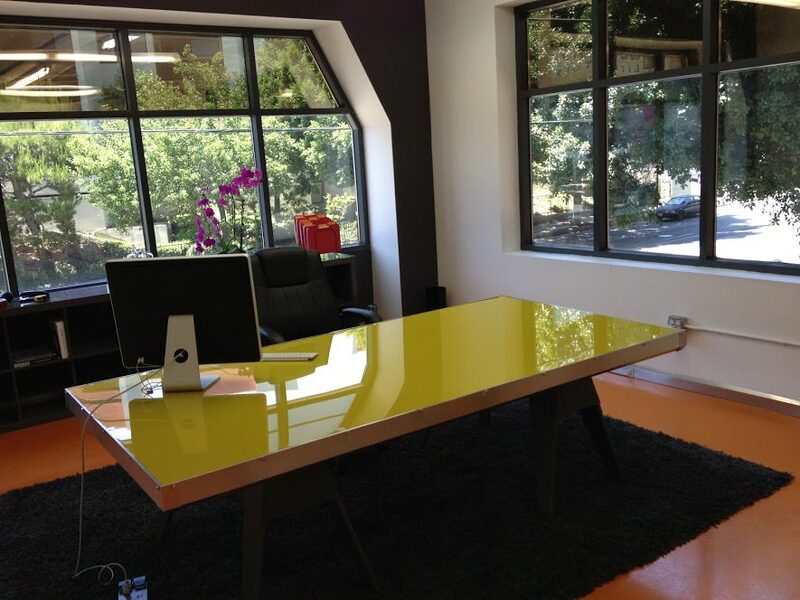 If you want to add a games room or a pleasant work space, epoxy should be your choice. It makes every space much more usable. Several color options are also available along with different vinyl chip blends. Epoxy flooring is ideal for pools in the backyard. These areas are more prone to slipping due to water, which can be quite dangerous. However, this flooring is extremely versatile in nature. One of the most common outdoor surfaces that need special and protective coating are pool patios. This is because of a number of reasons. The combination of intense UV sunlight, water, outdoor debris and foot traffic – all add up to weaken the concrete surface surrounding a pool. Epoxy can also adapted to be non-slip in any outdoor setting where water spillage is an issue. This type of coating is also durable. Additionally, this area can also be UV protected to avoid fading and discoloration. Epoxy flooring is versatile in its design as well. It versatility in usage is already well known across different settings around the world. Interior designers are using it for its wonderful diversity. It works well for spaces outside and around the house that need different types of finishes such as matte or high polish, or even textures like stone details. The flooring can also be tinted to suit any décor. Apart from being 100% designer friendly, epoxy flooring is also 100% environmentally friendly. There are a number of different types of exterior finishes in epoxy that add life and beautify to any surface, be it at home or business. Epoxy is excellent for almost any outdoor application. These exterior finishes are available in a wide range of color, design, and texture choices, while offering long lasting and brilliant color and appeal. It is suitable not only for your pool deck and patio, but also for your front steps, walkway, and driveway. There are several exciting alternatives to consider. Pick the most suitable one with professional assistance and you will never regret your decision! Epoxy releases no toxins that can potentially harm you or your family. This flooring has others advantages as well. It can also be used for cracked or stained outdoor concrete surfaces such as walkways. There are blends of specially formulated epoxy with other materials that can be applied over existing concrete. It is not costly. More importantly, you can save yourself the messy process of getting the concrete removed. Renowned for both its durability and strength, epoxy is the ideal flooring solution when it comes to protecting those outdoor surfaces. These are constantly subject to wear and tear. Additionally, they are under attack from elements even if they are made of the sturdiest of concrete, granite or even stone. 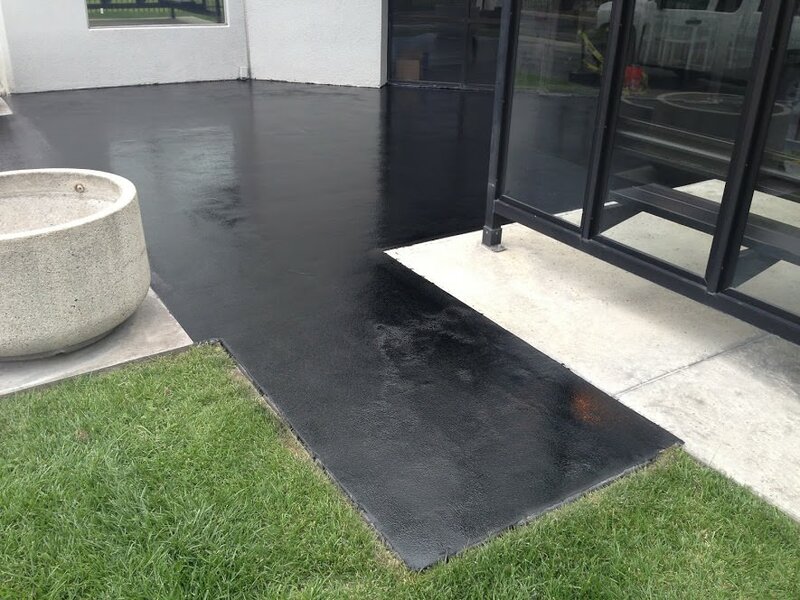 Concrete walkways and porches look more elegant and sophisticated when epoxy is used. There are a variety of colors and styles available. It further enhances the beauty of the outdoor landscape and offers a few more additional benefits. Affordable, industrial grade, high quality epoxy also protects the surface from foul weather and spills. These are ideal for patios, pools, decks or outdoor carports. You can opt for either floating carpet tiles or interlocking floor tiles to transform make these surfaces safe, attractive and sturdy. There are different epoxy coatings that are specially designed to fortify and stabilize your outdoor pool surface. The surface can be made of single/different materials. There are single and two-part epoxy systems that can be applied on concrete, granite and stone surfaces to create awesome, non-skid finishes that stand the test of time and also look great. There are unique surface epoxy kits available. These have several uses, including improving steps, garages and stone walkways. They can also be tinted. This tinting enables the epoxy to match the exact color of the original shade. It is very easy to use. Epoxy flooring can transform any drab surface into professional looking stone masonry. Opt for it if you want high quality stone and granite looks on floors, walls and columns. Interlocking tiles is another option for pools, decks and patios. These are not only 100% weatherproof, but also not as slippery as stone or granite. It is a safe and secure flooring system. These areas are usually paved with porous stones, wood beams or tiles. Non-slip, water-based sealers and acid stains are available. These can be combined with epoxy to simulate, enhance and protect their appearance with a natural design without laying individual pieces. The ‘waffle backer’ design in epoxy dries easily around pools, Jacuzzis and hot tubs. It prevents slips, skids and falls on wet surfaces. This makes your pool area and patio safer for kids and older adults besides providing a beautiful and professional looking finish. Today’s epoxy floors have also truly graduated to a more sophisticated level of design even for the outdoors. You actually have more creative freedom. You can have an outdoor floor that maintains a natural appearance that complements its surroundings. Forget about marble, stone, wood, and other natural materials. Combine different colors or decorative flecks of epoxy using different techniques to spread the paint throughout the surface. Create a unique effect with non-repeating textures. This article was contributed by Red Rhino Flooring. To locate your nearest Red Rhino Flooring outlet, click here. We specialize in epoxy and have some great articles. Need any information do not hesitate to reach out regarding epoxy. Can I use Epoxy to set glow-in-the-dark glass-gravel on existing exterior blue stone slab patio ~10′ x 6′. The slab was set a little slanted inward. The rain water gathers. I want to level that slant, but don’t want to take out the slab, which probably is extremely difficult. If I use the epoxy-set glass gravel mixed with glass pebble, I should be able to level or reverse that slant. Is this doable? Where do I buy the epoxy, and which brand? Do you have a recommendation for the glow-in-the-dark glass gravel/pebble supplier. If this turns out well, I will replace my cracking black-top driveway with this as well. Where can I purchase Expxy Resin paint for finishing off the top of my concrete garden footpaths. I need to apply with a stiff brush. Epoxy flooring can be used to give the new looks and it is also give the durable option. Epoxy floor can be the best option for outdoor flooring. In your garage you can use this type of flooring. By using epoxy flooring your basement floor will look like brick, tile, marble, hardwood. Your patio is the place which makes it nice and cozy and there you can use epoxy flooring, so that durability of the floor should be maintained. Thank you so much for sharing something on Epoxy flooring outdoor uses. This topic is kind of hard to find online. But could you add some more technical info on how they actually stabilise the Epoxy resin as it should be naturally vulnerable to UV light? Can I use epoxy on an outdoor teal spiral staircase? Will the epoxy adhere to the metal especially in very hot temperatures? Thanks. I find it awesome that getting an epoxy garage floor can help it repel oil, gasoline, and tire marks. If I wanted to start a flooring business that services these parts of the home, I would first find an epoxy supplier. With their help, they can improve every homeowner’s property and safety value. It’s great to know that this kind of flooring will be able to make any surface look high quality. I will suggest this to my best friend since they plan to have their flooring done this coming weekend. It appears that they are preparing the property they just bought for their grand opening which is going to be a restaurant once the renovations are done. We own a gym. Will it hold up to weights dropping on it?